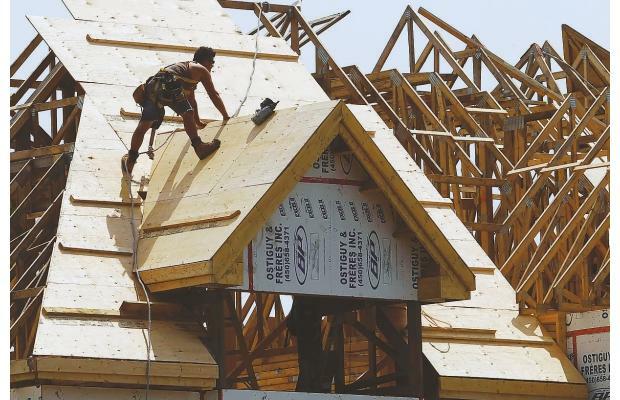 Vancouver is one of five metropolitan areas in Canada that recorded sharp year-over-year increases in housing starts in August, according to figures released Tuesday by the Conference Board of Canada. “Vancouver was fifth [out of 27],” economist Jane McIntyre, who wrote the Conference Board report, said in an interview. “And we expect more improvement in the next year in Vancouver. Saint John, N.B., Regina, Winnipeg and Oshawa, Ont., in that order, recorded the sharpest increases. In Vancouver in August, there were 14,091 starts on a seasonally adjusted basis, compared to 6,495 a year ago. Victoria and Abbotsford, the other B.C. metropolitan areas cited in the report, also showed increases. “Victoria and Abbotsford are also doing quite well, with positive expectations,” McIntyre said. Tsur Somerville, director of the centre for urban economics and real estate at the University of B.C.’s Sauder School of Business, said in an interview that it took a while for construction to get going again in Vancouver after the recession. U.S. housing starts also surged in August to their highest level in four months.